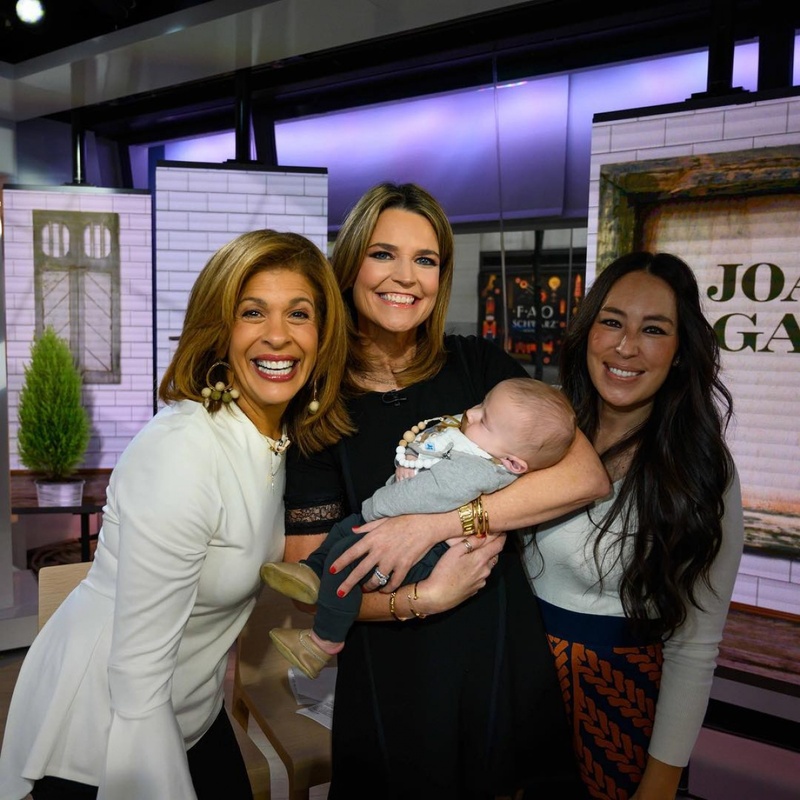 The former "Fixer Upper" stars introduced the 5-month-old infant to "Today" anchors Savannah Guthrie and Hoda Kotb during Tuesday's episode of the NBC morning show. "He is a gift," Joanna told Guthrie and Kotb. "We were just talking the other day about how he's slowed down time for us. He has just been a gift." Chip and Joanna are parents to Crew and four other children, 13-year-old Drake, 12-year-old Duke, 12-year-old Ella and 8-year-old Emmie. The couple discussed the possibility of a sixth child in the interview. "He wants [Crew] to have a sister," Joanna said of Chip. "I love the process of being pregnant, I love giving birth, so, you know, we don't wanna," she added before trailing off. Joanna gave birth to Crew in June. She penned a candid post about mom guilt Sunday after taking time to pick and press flowers with her daughter Emmie. "I know at times it can be hard to find simple ways to connect with your kids," the star wrote. "Especially in the tired and the hard and busy times in life. It can feel like it's all or nothing. But I really believe it's somewhere in the middle where the grace is extended and these simple, unplanned moments are actually the sweetest." "I write all this for any of you out there who may experience 'mom-guilt.' I promise you that's a never ending cycle that leads to nowhere. Replace the word gilt with grace," she said. Chip and Joanna came to fame on the HGTV series "Fixer Upper," which ended in April after five seasons. Joanna released the cookbook Magnolia Table the same month.